Besides sparing them the backbreaking weight of paper board books, the electronic distribution of information directors need to prepare for meetings and decisions allows them to work remotely and at their own convenience. But electronic distribution alone is not enough to keep today’s directors happy, as they often work during air travel, meaning they need offline access to documents, and today’s security threats mean that email and free file sharing apps are too risky to be used for this level of information. Increasingly, organizations of all sizes are using board portals to meet the demands of their directors, regulators, and their own organizational bylaws. Board portals create the ideal conditions for remote work and instant access to information; administrators can instantly and confidentially update documents and provide directors real time email notifications with links that lead directly into the app. Any time a member requests additional information, the administrator can upload it into the portal for all members who want to read it. Email-based distribution systems often wind up leaving out members when these kinds of special requests are made, whereas portals keep all information updated and archived for easy access. An important feature in board of directors management software is the ability to work offline on a tablet as directors increasingly use air travel time to prepare for decisions, but remote work isn’t limited to reading and annotating documents before a decision. Remote voting, electronic signatures, and collaborative tools enable directors to make the most of time between meetings, a period when many veteran directors believe the most valuable work is done. 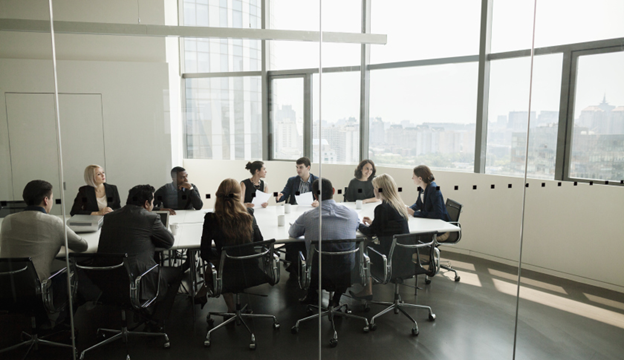 Great board members are generative thinkers and thrive on collaboration, yet another reason to look into portals like Aprio Boardroom that give them the tools to annotate materials collaboratively, promoting a discussion on important documents before the meeting even takes place. Directors are brought on because they have sound judgement, a necessary set of skills to bring to the organization, a new perspective, and experience. When they have the tools to work the way they want to, remotely and in between meetings, and prepare in collaboration with their fellow directors, the organization benefits from a better decision-making process. Good governance is not about making better decisions, it’s about improving the process itself, and better technology lies at the foundation of those improvements. Flexibility is important in a portal and that means an app that works across all major operating systems used in mobile devices today, including Apple, Android, and Windows. With the growing popularity of Windows tablets, portal vendor Aprio has recently developed and released its own Windows app. Directors with multiple responsibilities for different organizations may already have to use one particular device for work, with another for personal use, and the last thing they want is yet another device to carry around and keep charged when they travel. Simplicity is at the heart of efficiency, so when you’re shopping for a portal, look for widespread compatibility across devices.